The cost of living in Australia is high, and this is especially true when it comes to the price of food and groceries. 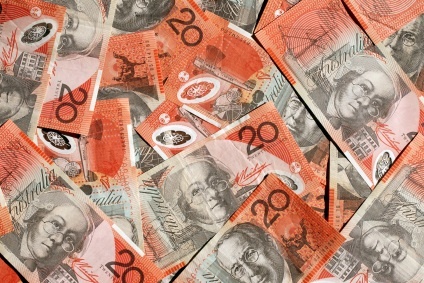 The cost of living in Australia is high, and this is especially true when it comes to the price of food and groceries. The weekly shop at the supermarket can cost over AU$150 on average in Sydney alone. This isn’t good news – especially for Australians on low-incomes, or for those who need to keep a tight grip on their cash because they’re saving for a big event like a wedding or a home purchase. Luckily, there are plenty of ways in which people can reduce their food bills – and this article will share the best savings tips. The main way in which people cut the costs of food is by buying large amounts of ingredients at once and then cooking it on a grand scale to see them through the week. This method works in many ways. First of all, it means that you’ll always have a meal in for when you’re hungry – cutting down on the temptation to buy expensive ready meals or costly lunches when you’re at work. But you also save cash through economies of scale here, too. When you buy ingredients in bulk, they tend to be cheaper – so you’ll save in that way, too. This also means that you can lower costs on more expensive foods by going for larger sizes or higher volume, such as by buying roasted legs of meat or poultry birds (which can work out cheaper than buying smaller, pre-diced packets). If you’re planning to cook in bulk, it’s essential that you have a decent-sized freezer which can be used to store the portions or leftovers before they go off. If the upfront cost of a freezer feels like too much, it’s definitely worth thinking about it in terms of the potential savings it offers. If you’re struggling with your food bill, you’re probably already paying too much either in rip-off supermarket prices, takeaways or waste – so by saving up for a freezer now, you can ensure that you get a handle on your food spending. With sites like Eat Now offering all sorts of tasty food options delivered right to your door, it can sometimes seem tempting to just order dinner online. But it can have a negative effect on your wallet, and it’s not sustainable because the cost adds up. Instead, consider recreating them from scratch at home. Takeaways can be easy to recreate with a little bit of experimentation, the right recipes and ingredients – so there’s no need to rely on them every time you want a treat meal. Ordering a takeaway even once a weekend can quickly amount to a lot of money. If there’s a whole family involved, then it can get even more expensive. Instead, why not limit yourself to a treat night – once a month, say – and all look forward to having your favourite take-out food then? That way, you still get to enjoy your takeaways from time to time – without having to worry about whether or not you’ll break the bank. But even once all the above ideas have been exhausted, it’s still not always possible to get a handle on home cooking. That’s because even the normal supermarkets are still expensive, and it can be hard to make money go further in their aisles. Often, those who want to steady their spending choose the value ranges in supermarkets. In Coles, for example, the Smart Buy range can deliver real cost savings – and while the quality may not be gourmet, it’s often still tasty and versatile enough to make great meals. Shopping for food isn’t easy on the wallet, especially with today’s expensive cost of living. But there are plenty of ways to cut costs without facing major problems or inconveniences. Whether it’s going to the value ranges at supermarkets like Coles or simply learning how to cook in bulk and freeze meals for later, there’s a wide range of money-saving ideas to try out.